View cart “6-Month Signals Subscription” has been added to your cart. Wide Range Outside Bars can provide excellent signals for forecasting potential ignition points. When a candle prints both higher and lower than a previous candle and is larger than normal, it can tell that you something is happening. Use this indicator to highlight them on your charts. You should always consider the market context first. What trend is the market currently in? Whereabouts in that trend are we now? Where are the zones from which buyers and sellers have previously shown themselves (support & resistance)? What time of day are you receiving the signal? How volatile are current market conditions? Once you have considered these things and perhaps other technical factors, you can start to filter out which outside bar signals are useful for you. Go and look at a Dax chart and zoom specifically into a major pivot. A major pivot would be a swing high or a swing low. When you examine the price action inside a pivot, you can sometimes spot particular behaviours. One particular behaviour is the ‘Outside Bar’. An outside bar is a candle or bar that is both lower and higher than the previous candle and it can be very useful in identifying a potential fast move or ignition. From experience, I have found that during periods of volatility, there is a higher probability that an outside bar can signal the start of an interesting move. So ideally we want to see an outside bar that is significantly larger than the previous bars. These would be a Wide Range Outside Bar. I watch at least 25 markets and sometimes it can be difficult to spot all the times where a Wide Range Outside Bar forms, until now. Here is an example of the indicator working – watch for the Wide Range Outside Bar (arrows) forming. Above is a simple screenshot to provide an example of how the indicator looks on a chart. The example is a screenshot of the Dax in February 2018 on the Hourly chart. The indicator is showing both types of ‘outside bar’. This is the regular Outside Bars (the small squares) and the Wide Range Outside Bars arrows. This is not a repainting indicator because there is no lagging calculation within the code. The indicator simply uses the open and close price of previous candles to decide whether it was higher and lower than the candle before that. The open and closing prices of a candle should never change. As with any technical analysis tool, there is some skill to applying the outside bar signals. Experience and recall are important with building that skill. To put it plainly, you should always consider the market context first. Always consider what is happening in the market. What trend is the market currently in? Whereabouts in that trend are we now? Where are the zones from which buyers and sellers have previously shown themselves (support & resistance)? What time of day are you receiving the signal? How volatile are current market conditions? Once you have considered these things and perhaps other technical factors, you can start to filter out which outside bar signals are useful for you. Wide Range Outside Bar signals are more significant than regular outside bar signals. Wide Range Outside Bar signals from higher timeframes are the most significant. Either trade the Wide Range Outside Bar signals that fit your analysis or use the Wide Range Outside Bar signals to help you read price action and understand what is happening on a market. 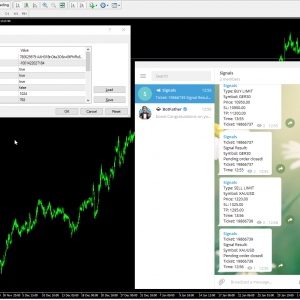 Download and install MT4 (MT5 has not been tested with this strategy). Choose a decent time frame. Understand the underlying trend of your market. Create new email account, use that address in MT4 and load the account to your mobile phone. Set notifications in the indicator settings and watch for the signals. Once you have followed all the links and installed MetaTrader you will probably need to open a simple demo account. Or a real account, whatever you prefer. Please Google this if you are unsure how to do it. 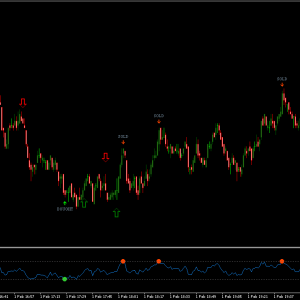 This indicator will work on a demo account. Once you click the link, follow the instructions and complete your payment, you will be able to download a .zip file containing two files. These files are the indicator files which will need to be placed into the Meta Trader folder. The downloaded files include two indicator files and three template files. All files will need to be copied into the MetaTrader folder. There are plenty of tutorials on YouTube showing you how to do this, but as a quick guide; you need place the two indicator files into the “MQL4Indicator” folder where you MT4 was installed. Then you need to place the three template files into the “MQL4templates” folder. To give you more detail; open up your MT4 program and log in to your account as normal. Go to “File” then “Open Data Folder”. Once the two files have been moved into the “Indicators” folder (or your sub-folder within the Indicators folder) you will need to find the RSI indicator in MT4. So go back to the software and look for the Navigator menu (press Ctrl+N will toggle this menu). Right click anywhere inside the navigator menu and click refresh. Now your indicator should appear there (inside a sub-folder if you chose to create one). Click and drag the indicator onto the chart. Do the same with the template files, but choose the correct folder. I only trade 20 markets, to keep things simple so I like to have my markets (Ctrl+M) show me only those that I want to trade. I believe CTRL+U allows you to select the markets you want to appear. “File” and “New Chart” will allow you to choose a chart to display. 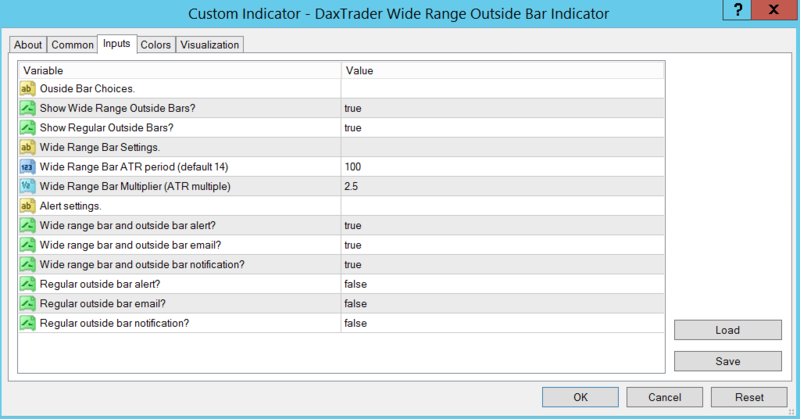 Select all the markets you want to use the indicator on. Once you have done that, press ALT+R to tile the windows (remove the navigator window and market watch window and press it again if you want the markets to use the full screen). This indicator is an RSI indicator and in my opinion works best on higher time frames. 1,5 and 15 minute time frames are possible too short and do not get the best results. I would suggest a 30 minute time frame at the very least. You need to customise the indicator to provide you with signals under the right conditions. If the market is bullish you might want to use the bullish template to allow you more frequent buying signals, if you are in a bearish market you will want to use the bearish template to allow you more frequent selling signals and finally if you are in a ranging market you will want to use the neutral template to help you look for tops and bottoms. However feel free to experiment with your own settings. Hopefully this is pretty self-explantory. 8. Set up new email account, use that email in MT4 and load the account to your mobile phone. Set up a new email address, because you may receive a lot of notifications, depending on your settings, so you will want to isolate those messages from your normal email. Register the email address in the MetaTrader platform (Tools, Options, Email), you may need to enter some SMTP data here, easy enough to find with a quick google search. Get the email account set up on your phone so you can access the emails from your phone. Download your trading software on your phone so you can execute trades on the move if you wish. 9. Set notifications in the indicator settings and watch for the signals. Choose the options to receive emails/alerts etc and make sure you have selected for your phone to notify you when you receive an email to that new account. Good luck trading, let me know how you get on. Can you make this indicator automatically trade? I can yes, but there would be an additional cost to write the basic functions to turn it into an expert advisor. You can either ask me or speak to another developer to write it for you. Can I trial the product before I buy it? Unfortunately no, because there is no way of me protecting this file once you have downloaded it. All purchases are final. You are buying a MetaTrader 4 indicator. You will download a zip folder with a single file inside. This file will be an MQ4 file. This means that you will have access to the source code of the indicator. Choose the types of Outside Bar you want to see. Choose the ATR multiple – this will decide how big a Wide Range Bar needs to be to qualify as a Wide Range Bar.